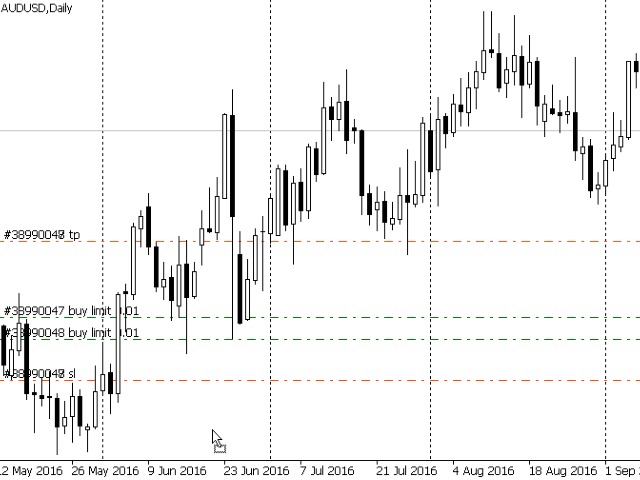 If a complex grid with specified stop loss and take profit levels has been created in the wrong place by mistake, it is not necessary to remove it and start over again. The grid can be moved to a new place using the mouse. 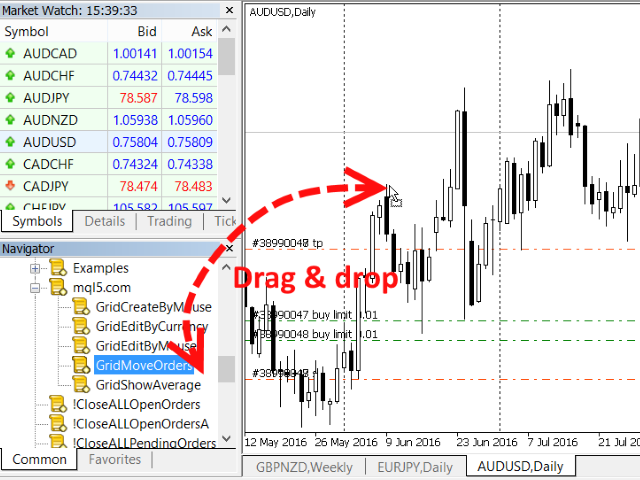 Drag the script to the chart and drop it where the grid should be moved. 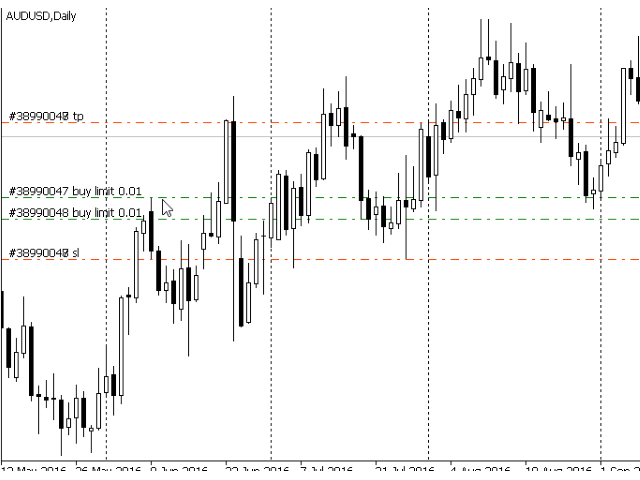 The grid will be moved, keeping the distance between orders, distances to stop loss and take profit. 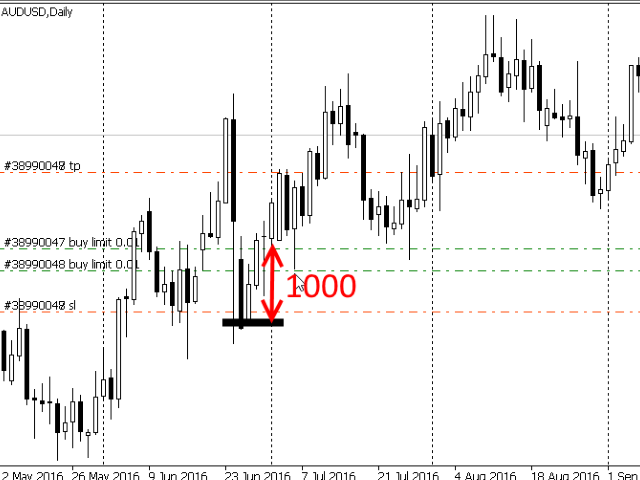 The script works exclusively with pending orders, market orders will be left unchanged. All pending BUY - All orders with the BUY STOP and BUY LIMIT types will be moved. All pending SELL - All orders with the SELL STOP and SELL LIMIT types will be moved. 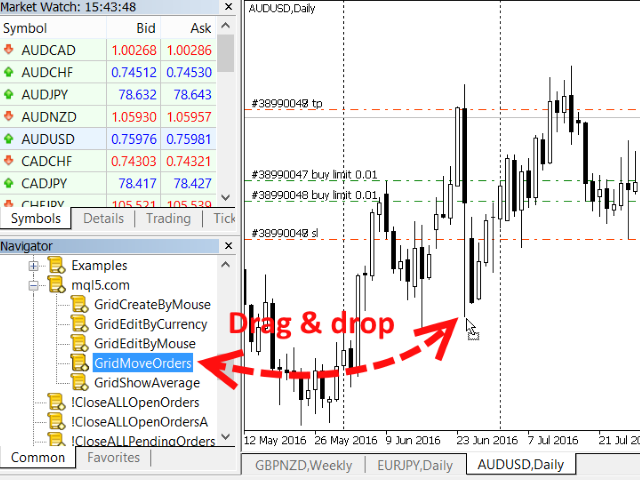 All pending -All orders with the SELL STOP, SELL LIMIT, BUY STOP and BUY LIMIT types will be moved. By default, this parameter is set to All pending. Set Offset - in case this field in not zero, the script will use the value of this field as the offset for moving the initial grid. Negative values are also allowed. In this case the initial grid will be moved "to the south", towards sells. If the field value is positive, the initial grid will be moved "to the north", toward the buys. 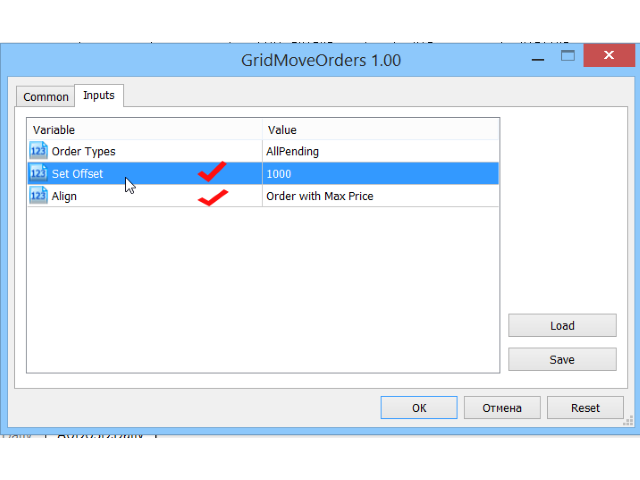 If the field value is zero (default value), the point where the left mouse button had been released will be used as the new grid location. 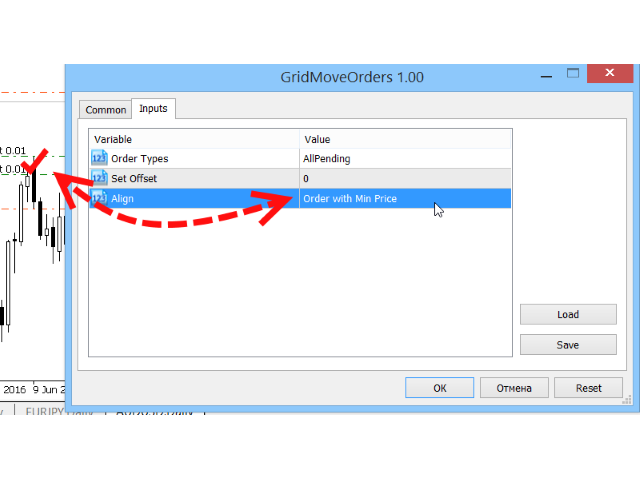 Order with Max Price - the grid will be moved so that the order with the maximum price (the "top" order) is located at the new place, and the rest of the grid will be aligned "to the south", towards the sells. Order with Min Price - the grid will be moved so that the order with the minimum price (the "bottom" order) is located at the new place, and the rest of the grid will be aligned "to the north", towards the buys. By default, this parameter is set to Order with Max Price. 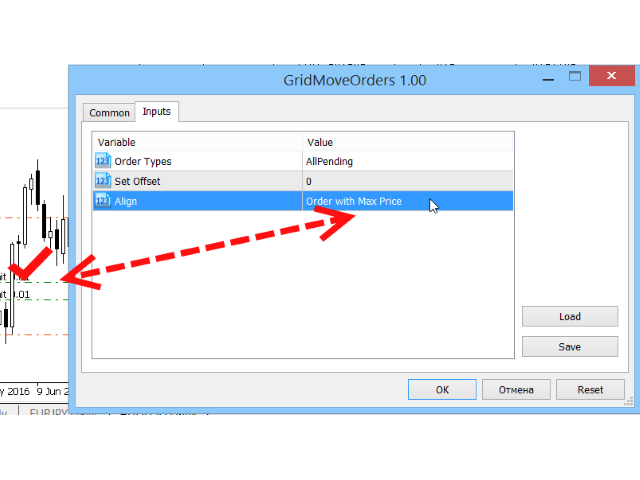 Attention should be paid to assigning the new location for the grid relative to the current price. It may turn out that after being placed at the new location, part of the grid orders would be "above" the current price, and part of them "below" it. It may turn out that the orders with the maximum or maximum price would have to be placed too close to the current price, at the distance less than allowed by broker. In this case, part of the orders will not be moved, an error message will be displayed and sound alert will be generated.